Fantasy football, by definition, is a virtual game where the participants construct a team of football players, real life ones, and score points depending on their performance during each game. It’s a real distraction for football and sports fanatic during the season. There are different fantasy leagues in which any user can play against millions of others and win amazing gifts. As a manager you can choose the best team there is. 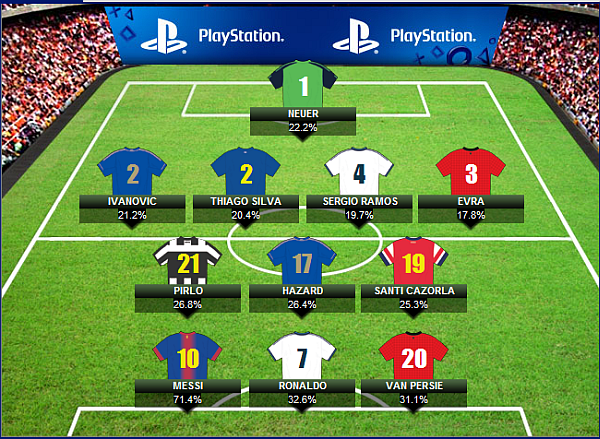 Perhaps the most famous fantasy football league for the Champions League and for Europa League fixtures. It’s a well-known game and people compete to beat their friends and for the prices. They go from a simple PlayStation, to winning tickets for the Champions League Final. There will be winners at the end of each match day, at the end of the group stage, knock out stages and at the end of the season. So you’ll have chances to win any of the rewards given by UEFA and PlayStation. The famous sports channel have their own fantasy football league for the Premier League, where they give the chance to win prices up to 25,000£. One of the peculiarities of this fantasy league is that in every match day, you’ll have the opportunity to play against Sky Sports presenters. Also, they decided to differentiate from others by letting the user decide how long in the league will they stay playing. Spain have their own fantasy football league, and who better to manage it that the Spanish Sports Newspaper, Marca. Thanks to their app, you can play it everywhere, from your mobile, tablet, and computer. The best players in the world are in La Liga, so they had to create a fantasy football league where they could appear and with them attract their fans. One more Premier League fantasy league but with a twist for the creation of the team. Here you don’t have the kind of money you get in other fantasy football leagues. And the winning price is almost 250,000£ for the best team of the tournament. Unknown for most of us, Chalk may be the next generation fantasy football. What’s the downside of owning a fantasy football team? Is that you need to be on the lookout to arrange your team before the match day starts. Chalk offers a daily basis fantasy. Not during the whole season. That gives you the opportunity to create your team every match day and score points daily and participate in tournaments that only last a day. To become a master in fantasy football, you’ll have to dedicate time and knowledge, so you can beat your opponent. Before, I described a couple of leagues you need to play if you call yourself a football fanatic.